Maryland max security prison closed. Now what? | Jon Katz, P.C. Maryland max security prison closed. Now what? 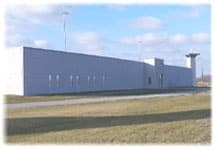 Mar 22, 2007 Maryland max security prison closed. Now what? By now, I have visited clients in nearly all the prisons throughout Maryland, and numerous state jails. If people’s lives and liberty were not involved, I would be intrigued more by the peculiarities of many of these prisons, including the Central Laundry prison where inmates wash state-owned sheets and clothing; the minimum security facility on the Eastern Shore with no fences or other external escape barriers; the decrepit Maryland Penitentiary, whose general visiting area has been an on-location site for the Homicide series; the hospital facility that could have been from an Alfred Hitchcock film; and the so-called super maximum facility that houses death row inmates and numerous others who have little to no contact with other inmates. Many of these prisons are depressing beyond depressing. Many prison guards probably feel like they are voluntary temporary prisoners in these bleak places. Prisons dehumanize. On March 19, 2007, Maryland officially closed one of these depressing prisons, which is the Maryland House of Corrections in Jessup, a town on the way to Baltimore that teems with prisons. The violent assaults became too many. The facility was modeled after nineteenth century prisons. Twentieth century gadgets like cellphones cannot receive signals through some of the prison’s thick walls. MHC Jessup ultimately will be converted from its former maximum security status to a minimum security prison. Meanwhile, MHC Jessup’s maximum security prisoners this month have been shipped to other prisons inside and outside Maryland. The closing of MHC Jessup does not solve the state’s prison problems. Rather, the situation further reveals the severe dysfunctions of a criminal justice system that overprosecutes and is overburdened by drug prosecutions. Throughout the nation, the criminal justice system is overgrown, over-oppressive, and over unjust. Jon Katz.